I walk a fine line with the space program. Is there any practical application or offshoot to most of the work perform? Probably not. They spend a lot of money. That being said what they do is amazing. Here’s how my tech stories come about. Helaine sent me a link to an article about the Mars Rover, Opportunity. It’s the interplanetary Energizer bunny. 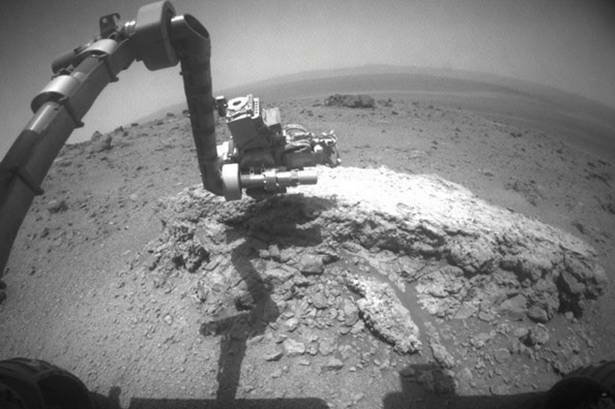 Opportunity is coming out of its winter hibernation. That’s my hook. I walk a fine line with the space program. Is there any practical application or offshoot to most of the work NASA performs? Probably not. They spend a lot of money. That being said what they do is amazing. Maybe it’s worth it for that alone? Here’s how my tech stories come about. Helaine sent me a link to an article about the Mars Rover, Opportunity. It’s the Interplanetary Energizer Bunny! I’m not going to reprise the TV story here (It will run Wednesday 5/30/12 at 4 and 10 on FoxCT), but I want to explain something I might not have the time to talk about on TV. Most of us forget the depth of human accomplishment necessary to enable Opportunity. Here on Earth scientists designed a machine beyond what most of us can fathom. It can drill, process materials, do chemical analysis and report the results back autonomously. The machine, really a remote laboratory, was built hardy enough to survive extreme cold in a weightless vacuum. Engineers also made sure it could withstand the rocking and vibration that comes with a launch. Opportunity flew through space perfectly to a rendezvous with Mars. It parachuted into the Martian atmosphere as 24 airbags popped open. 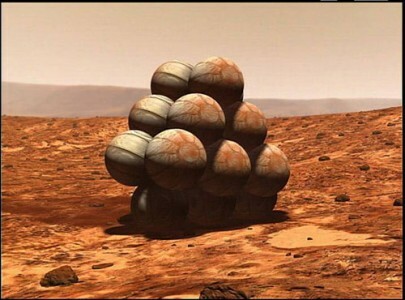 The rover was lost inside a bunch of grapes. Opportunity bounced and rolled on the Martian surface. The airbags were designed for that. The whole system was engineered to guarantee the rover would land right side up. The rover landed right side up. The rover had been sent to Mars as if packed by Ikea. Now gears and actuators and pistons were moving. With its antennas stowed away Opportunity had to do this on its own. Arms extended. The rover was emerging like a butterfly escapes its cocoon. Hidden explosive charges cut the cables that held Opportunity on its platform. A ramp lowered. The rover drove off. Seriously. Humans did this. What could be harder? Most of us never think about all the critical steps necessary to get where we are today. 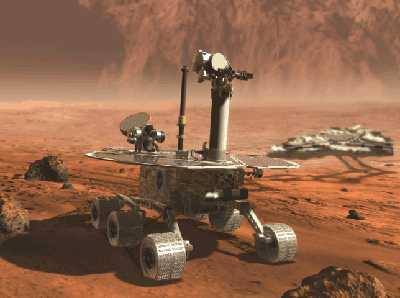 Opportunity is just beginning its ninth year working on the Martian surface. It was designed to last 90 days! That is astounding! It does show that we have done things well with parts of our space program. And to think, this being a government agency. It had to be done with the lowest responsible bidder to. amazing what can be done when we put our minds together. why don’t we use more of this technology on earth? Why are we holding back? Is it cost -vs- profit? Think of the possibilities. These are the stories that get lost amongst the doom and gloom that passes for news these days. It is good you can highlight accomplishments like these Geoff.